01/07/2015 – WCA & COTA-DL pedition of DL1JKK/P to Castle Stein and Castle ruins Hartenstein! 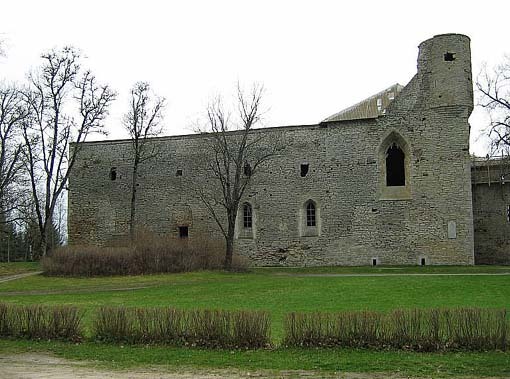 – Karl DL1JKK will be active on the 1st of July 2015 from Castle Stein, WCA: DL-01249, COTA-DL: SAX-143 and Castle ruins Hartenstein, WCA: DL-01250, COTA-DL: SAX-144 . He plans to work as DL1JKK/P on 40 and 20 meters beginning from 6 UTC. QSL via bureau or direct. 73 & 11! [tnx info DL1JKK]. 30/06/2015 – WCA & UCFA pedition of UV5QR/P and US3QQ/P to Minikh’s redoubt! – Oleg UV5QR and Segey US3QQ will be active from the latter part of the 30th of June till the morning of the 1st of July from Minikh’s redoubt, WCA: UR-00238, UCFA: ZP-003, URDA: ZP-20. They plan to work as UV5QR/P, US3QQ/P and US4QWA/P on all bands by any modes. QSL via bureau or direct. 73 & 11! [tnx info US3QQ]. 28/06/2015 – WCA & CPBA pedition of EW3LK/P to Ruzhanskiy Castle! – Evgeniy EW3LK/P will be active on the 28th of June from Ruzhanskiy Castle WCA: EW-00011 (New one! ), CPBA: 3-10 from 10 till 21 UTC CW and SSB on 10, 14, 18, 21 Мhz. QSL via bureau or direct. 73 & 11! [tnx info EW3LK]. 28/06/2015 – WCA & CISA pedition of YT3TPS/P to Grabovac – Jerinin Grad Castle! – Pedo YT3TPS will be active on the 28th of June 2015 from Grabovac – Jerinin Grad Castle located in Trstenik, WCA/CISA: YU-00038. On the occasion of St. Vitus Day Ljubileja 626 year Lazarus, Dvora castles Krusevac. He plans to work as YT3TPS/P on 40 and 10 meters. QSL via bureau or direct. 73 & 11! [tnx info YT2KID]. 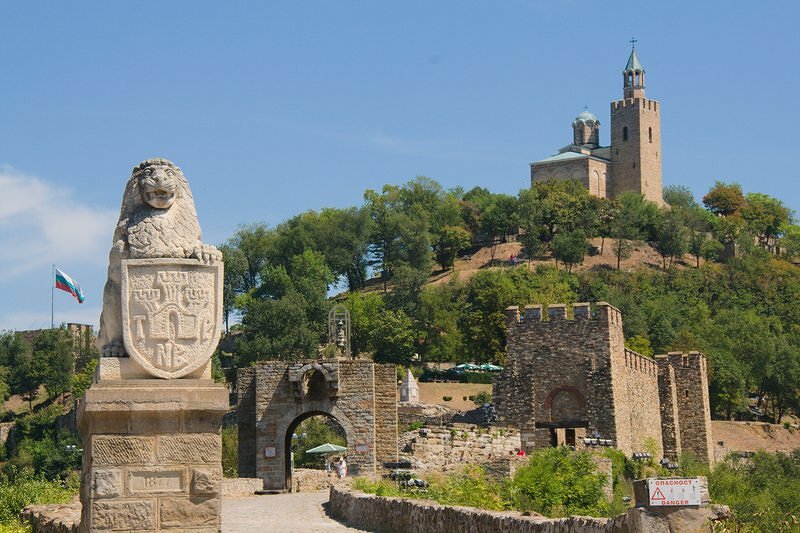 21/06/2015 – WCA & S5-WCA pedition of S51RU/P from Castle Lemberg! – Marjan S51RU will be active on the 21st of June 2015 and participate in WCW-2015 from Castle Lemberg – Nova Cerkev, WCA/S5-WCA: S5-00195. He plans to work as S51RU/P on 40, 30, 20, 15, & 10 meters – CW/SSB. 06:00 UTC. QSL via bureau. 73 & 11! [tnx info S51RU]. 21/06/2015 – WCA pedition of ES2TT/2 from Padise Castle! – Eddie ES2TT will be active on the 21st of June 2015 and participate in WCW-2015 from Padise Castle, WCA: ES-00057. He plans to work as ES2TT/2 on all bands. QSL via Home Call, bureau or direct. 73 & 11! [tnx info ES2TT]. 20/06/2015 – WCA & DFCF activity of F4CTJ from Chateau de La Crique! 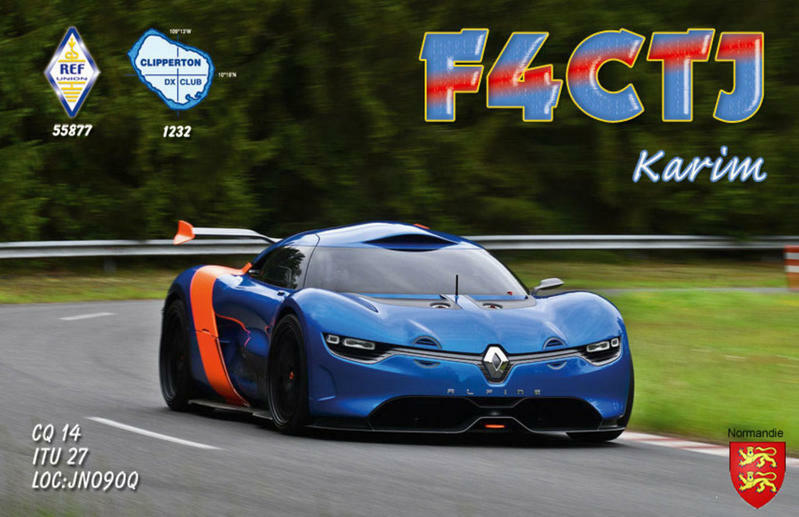 – Karim F4CTJ will be active on the 20th and 21st of June 2015 and participate in WCW-2015 from Chateau de La Crique, WCA: F-new one, DFCF: 76-064. He plans to work as F4CTJ on all bands. QSL via bureau or direct. 73 & 11! [tnx info F4CTJ]. 20/06/2015 – WCA & UCFA pedition of UR2LM/P to St. Mikhail Fortress! – Leonid UR2LM will be active on the 20th and 21st of June 2015 and participate in WCW-2015 from St. Mikhail Fortress, WCA: UR-00184, UCFA: HA-010, URDA: HA-36, WW Loc. KN89fn. He plans to work as UR2LM/P on 40, 30, 20, 15 and 10 meters CW/SSB/Digital modes. QSL via UR2LM, bureau or direct. 73 & 11! [tnx info UR2LM]. 20/06/2015 – WCA & BCA pedition of ON4CEQ/P to Chateau van Veltwijk (WCA: ON-00547)! WCA: ON-00547, BCA: AN-046. From 6:00 utc until 10:00 utc. Bands SSB – 40m – 20m – 15m. Operating Portable from Fauna & Flora ONFF-453 De Oude Landen. 20/06/2015 – WCA & DCS pedition of HB9HI/P to Chateau de Agiez! – Operator HB3YWZ, Matthias HB9EGM, David HB9EKC, Augier HB9EKD, Vince HB9EVJ, operator HB9FOH, Eric HB9IAB and Alexandre HB9ICJ will be active on the 20th and 21st of June 2015 and participate in WCW-2015 from Chateau de Agiez (Vaud), WCA: HB-00631, DCS: VD001, WW Loc. JN36gr. They plan to work as HB9HI/P on 80 – 10 meters and 144 mhz CW/SSB. Station HF – 100 watts, dipoles and verticals, on VHF – 50 watts, yagi and verticals. QSL via bureau or direct. 73 & 11! [tnx info HB9IAB]. 20/06/2015 – WCA & UCFA pedition of UT7NI/P, UT3NT/P and UT8NK/P to Ozarinets Castle! – Vladimir UT7NI, Vyacheslav UT3NT and Alexey UT8NK will be active on the 20th and 21st of June 2015 and participate in WCW-2015 from Ozarinets Castle (1657 year), WCA: UR-00151, UCFA: VI-006, URDA: VI-19, WW Loc. KN38rh. They plan to work as Home Calls/P on 80, 40 and 20 meters. QSL via UT7NI, bureau or direct. 73 & 11! [tnx info UT7NI]. 20/06/2015 – WCA & BCA pedition of ON6GMT to Chateau Houtain-le-Val! Samedi 20 juin, à partir de 07h30 local, Geoffroy, ON6GMT sera en portable. Il activera le château de “Houtain-le-Val”, dans la commune de Genappe, en BW. L’activité se fera en 80m et en 40m, entre 05h30 et 10h30 UTC. Comme d’habitude, une superbe carte QSL suivra via le bureau. 20/06/2015 – WCA & COTA-RU pedition of RX1CQ/P to Karelsky fortification! 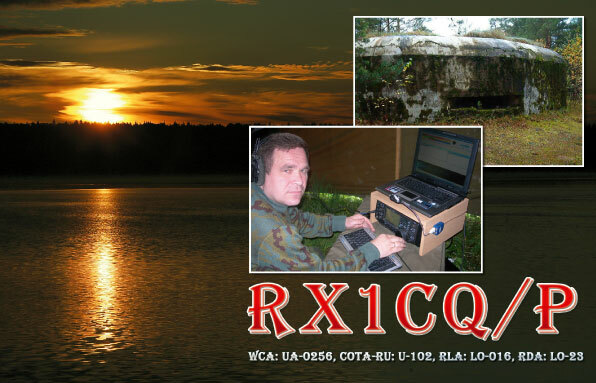 – Dmitry RX1CQ will be active on the 20th and 21st of June 2015 and participate in WCW-2015 from Karelsky Fortfication, WCA: UA-00256, COTA-RU: U-102, RDA: LO-23. He plans to work as RX1CQ/P on all bands. QSL via Home Call, bureau or direct. 73 & 11! [tnx info RX1CQ]. 20/06/2015 – WCA & UCFA pedition of EM7UT to Zmiyevi Valy! 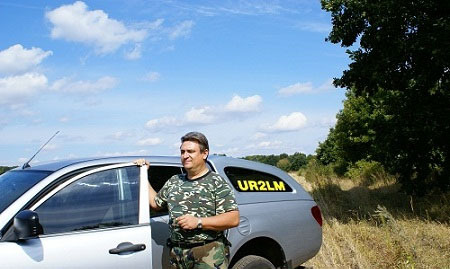 – Serge UR7UT will be active on the 20th and 21st of June 2015 and participate in WCW-2015 from Zmiyevi Valy, Kiev oblast, WCA: UR-00196, UCFA: KO-0007, URDA: KO-22. He plans to work on all bands, CW/SSB as EM7UT. QSL-mng via UR7UT (WCAG # 2) bureau or direct. 73&11! [tnx info UR7UT]. 20/06/2015 – WCA & COTA-RU pedition of RZ1CWC/P to Fort Seraya Loshad! – The operators of RZ1CWC team, inc. Victor R1CBN, Andrew RN1CW, Vladimir UA1CIO and Serge UA1COA will be active on the 20th and 21st of June 2015 and participate in WCW-2015 from Fort Seraya Loshad, WCA: UA-00210, COTA-RU: F-116, RDA; LO-30. They plan to work as RZ1CWC/P and Home Calls/P on all bands CW/SSB and Digital modes. QSL info on QRZ.COM. 73 & 11! [tnx info RZ1CWC]. 20/06/2015 – WCA & COTA-RU activity of R7RIB from Mikhaylovskaya Battery and Northern Fortification! – Mikhail R7RIB will be active on the 20th and 21st of June 2015 and participate in WCW-2015 from Mikhaylovskaya Battery, WCA: UA-00618, COTA-RU: C-7111 and Northern Fortification, WCA: UA-00620, COTA-RU: C-7113. He plans to work as R7RIB on all bands. QSL via bureau or direct. 73 & 11! [tnx info R7RIB]. 20/06/2015 – WCA pedition of LZ2A/P to Trapezitsa and Tsarevets Fortresses! – Stefan LZ2DB will be active on the 20th and 21st of June 2015 and participate in WCW-2015 from Trapezitsa Fortress, WCA: LZ-00020 and Tsarevets Fortress, WCA: LZ-00021. He plans to work on 15, 17, 20, 30 and 40 meters CW/SSB as LZ2A/P. QSL via LZ2DB, bureau or direct. 73 & 11! [tnx info LZ2DB]. 20/06/2015 – WCA pedition of LZ2HT/P to Germania Castle! – Ivan LZ2HT will be active on the 20th of June 2015 and participate in WCW-2015 from Germania Fortress, WCA: LZ-00145. 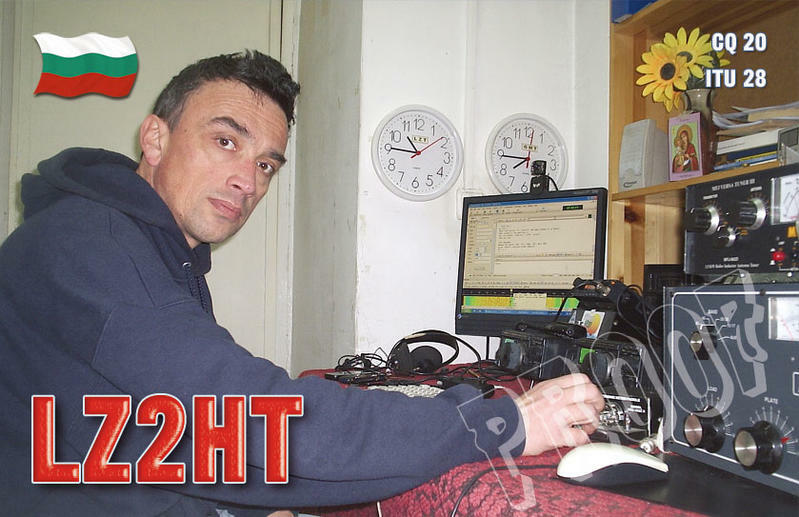 He plans to work as LZ2HT/P on 15, 20 and 40 meters CW/SSB/Digital modes. QSL via Home Call. 73 & 11! [tnx info LZ2HT]. 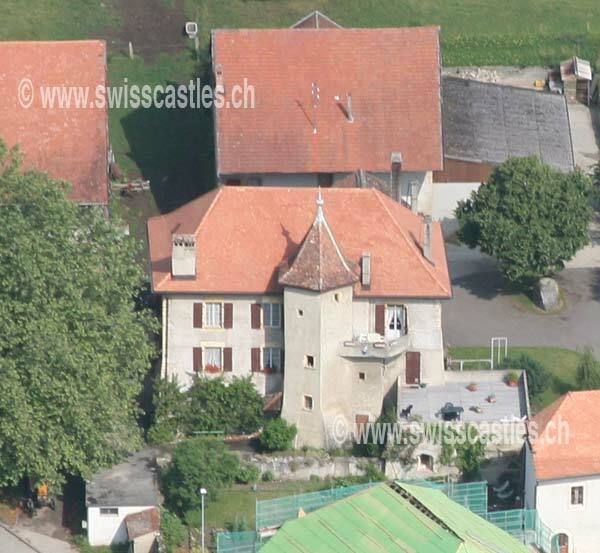 20/06/2015 – WCA & RFA & RHO pedition of YO6EX/P to Ighisu Nou or Smig Fortified Church! – Vasile YO6EX will be active on the 20th and 21st of June 2015 and participate in WCW-2105 from Ighisu Nou, WCA: YO-00418, RFA/RHO: SB-F31 or Smig Fortified Church, WCA: YO-00981, RFA/RHO: SB-F93. He plans to work as YO6EX/P on 40, 30, 20, 17 and 15 meters mostly CW. QSL via bureau or direct. 73 & 11! [tnx info YO6EX]. 20/06/2015 – WCA & BCA pedition of OT4V/P and OR7Z/P to Chateau de Laken! – Danny ON4VT and Mario ON7YZ will be active on the 20th and 21st of June 2015 and participate in WCW-2015 from Chateau de Laken, WCA: ON-00552, BCA: AN-051. He plans to work as OT4V/P (ON4VT) and OR7Z/P (ON7YZ) on all bands. QSL info on QRZ.COM. 73 & 11! [tnx info ON4VT].